The Beauty of Life: Hey, Bright Eyes! Check Out the Bobbi Brown Brights Eye Palette! Hey, Bright Eyes! 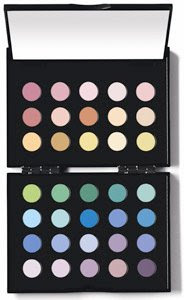 Check Out the Bobbi Brown Brights Eye Palette! Each color is incredibly matte -- no shine or shimmer here! And better yet, they’re all new and exclusive to this palette. (Though I’m hoping some of them will be introduced into the regular color rotation eventually.) And you’ve gotta love the huge attached mirror -- gone are the days of squinting into a tiny compact and hoping you’ve applied enough eyeshadow to each eye!